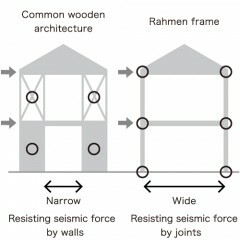 "Rahmen" means a frame in German. 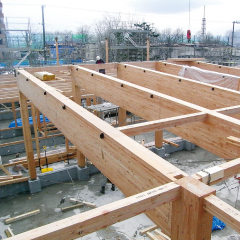 Unlike the conventional wooden buildings that resist seismic force with bearing walls, the use of Node.Rigid enables joints strong enough to resist seismic force. Without the limitations imposed by bearing walls and columns, the possibilities of planning are exponentially increased. When used with other STROOG products, Node.Rigid can configure various types of structural frames to suit your planning. These include multi-layered Rahmen, consecutive Rahmen, single-sided Rahmen, Rahmen to construct voids, column joints, beam joints, and Rahmen for columnar walls. 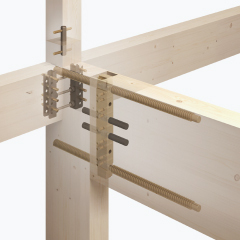 Along with the regular connector type, Node.Rigid is also available in the covered type in which connectors are hidden inside the timber, achieving not only beautiful joints but also designs which allow for the use of sacrificial timber. It is proven that just one column can achieve bearing force equivalent to 24 times the wall magnification per meter. 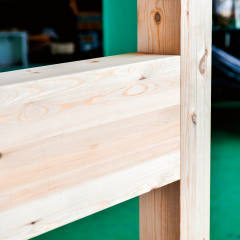 These very tough joints have also proven to bear the column tilting by one tenth of its height without damaging the timber. In addition, by not requiring any adhesive agent, it can achieve great bearing force over the long term. 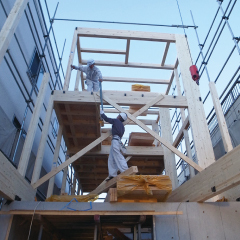 Node.Rigid can accommodate small to large cross-section materials as well as a wide range of scales from residential to school-scale buildings. 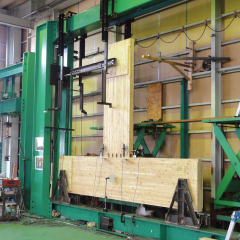 We enable similar designs to steel or reinforced concrete constructions in wooden architecture which has better cost efficiency and lower environmental impact. Node.Rigid has been installed in various types of buildings from garages to kindergartens, stores, offices, and others. It can realize not only large spaces with over 10m span and wide openings that create a spacious feeling but also skeleton-infill housings. 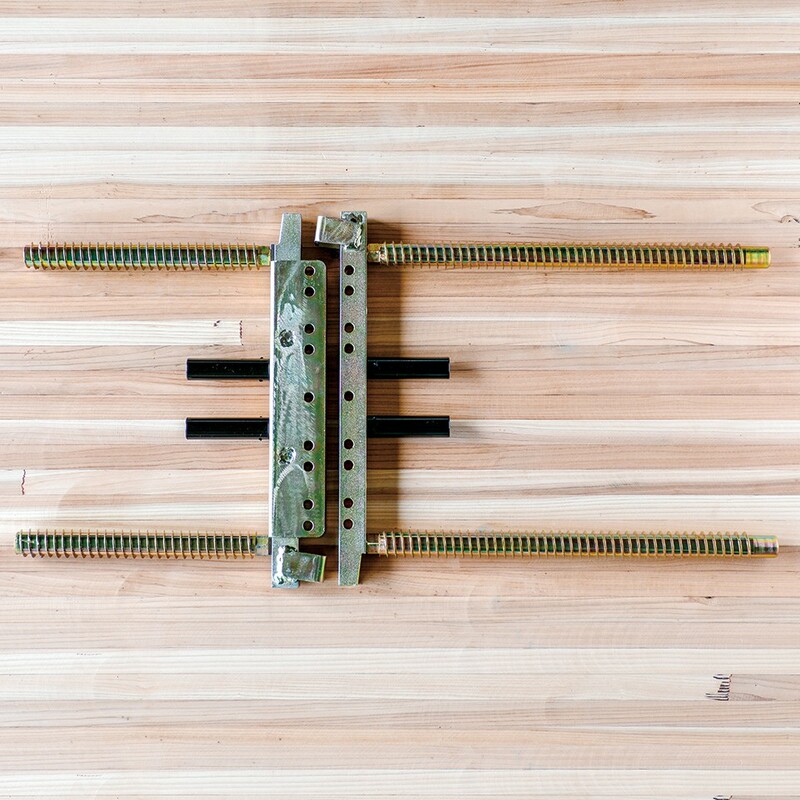 Our connectors can be installed to timber which is pre-processed at our supporting precut factories. 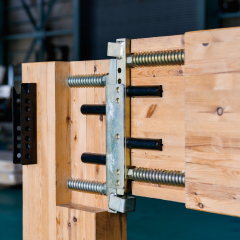 At a construction site, you can assemble precise wooden structures simply by tightening bolts or hammering drift pins, without requiring extensively experienced skills.